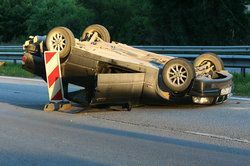 Even the safest and most responsible drivers can face the possibility of an accident due to a number of ulterior risks. Other drivers, road hazards, and poor weather conditions are a few common reasons why crashes may occur, but what if the greatest risk is part of the car itself? Sadly, defective car parts do exist, and in many cases they go unnoticed until it is too late. If a car is using defective tires, the chances of an accident - and the damages incurred therein - are increased greatly. When accidents are caused by defective tires, drivers should not have to suffer the repercussions. In the event your car is damaged or you are injured due to a faulty product, our Brooklyn personal injury attorneys can help. How Can Tires Be Defective? Tread separation: The outer layer of rubber containing the tire's treads may loosen from the rest of the tire over time. When the tread fully separates, it can cause the vehicle to swerve out of control or the tire to have a blowout. This is the most common way in which defective tires result in accidents. Shoddy tread design: Tire treads play an important role in traction and the ability to stop safely. If the treads are poorly designed, not deep enough, or worn from use, accidents are far more likely. Poor construction: Tires that are poorly made may not be able to withstand both the vehicle's weight and the internal air pressure. Tires that deflate or suffer a blowout for no apparent reason may be an indication of substandard manufacturing. Problems in the sidewall or rim: If a defect exists at the tire's side, it can cause the tire to explode while being inflated. This may result in serious injury and even death. First, it is important to differentiate between tires that are innately defective and those that have not been maintained. For instance, if tire treads have become worn due to your own driving history, then it is simply a matter of poor maintenance. However, if your tires have been properly maintained or replaced, then it's worth considering who is responsible for their failure. In many cases, a manufacturer may be held at fault for product liability, while in other cases, whoever designed the tire may be held responsible. Also keep in mind who has sold you a tire or performed work on it. If you have bought a defective used tire, the seller may be at fault for giving you a product that was not safe for use. Similarly, dealerships and mechanics should be held responsible if they inflate or attach tires improperly. By calling an experienced team of auto accident attorneys, you can begin building a case just moments after the accident. To start, we will investigate the nature of the accident, any injuries sustained, and the condition of the tires. Assuming the tires were indeed defective and contributed to your accident, compensation can be awarded as deemed appropriate. This may include reimbursement for vehicular damage, medical bills, ongoing medical care, lost wages from work, and pain and suffering. Speak with one of our attorneys to gain a more specific understanding of what you may gain from a successful lawsuit. When it comes to auto accidents, time is of the essence. Pick up the phone the moment you suspect the possibility of any defective parts, tires or otherwise, having contributed to your accident. Contact us today for a risk-free consultation or if you require immediate representation after an injury.